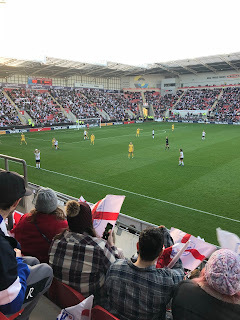 Sunday I was lucky enough to finally get to an England women's game. This was mainly made possible due to the fact they were finally playing up north, something they don't do very often. Since purchasing my tickets I couldn't wait as it meant I was finally getting to see some of my favourite players play together for the first time, it also meant I finally got to see Rachel Daly who is one of my favourite players in the NWSL over in America. When we got to the Stadium I had to of course get a scarf and programme as a bit of a memento, it was just my look that Daly was on the cover of the programme too. We also picked up a free copy of the latest She Kicks magazine, I am really starting to think I might have to subscribe to this, what could be better than a magazine all about women's football. When we got inside the stadium every seat had a complimentary England flag, which I thought was a nice touch but now I have a flag at the house with nowhere to put it. This game also marked the 100th cap of one of my all time favourites Steph Houghton so the atmosphere was great the attendance was actually the 2nd highest it had ever been in the UK. The game ended 2-0 to Sweden which obviously wasn't a result I hoped for but there were a few questionable decisions from the referee, we should have had at least 2 clear penalties. There was also the blatant time wasting the ref ignored from Sweden and players going to ground far too easy. But at the end of the day things didn't go England's way and a few players really did seem nervous and off their game. When Georgia Stanway was brought on the games pace changed from England's point of view, she is such a great player at such a young age, her vision is brilliant. There could have easily been more goals in the game when she got the ball but Sweden were brilliant at getting back behind the ball preventing this. 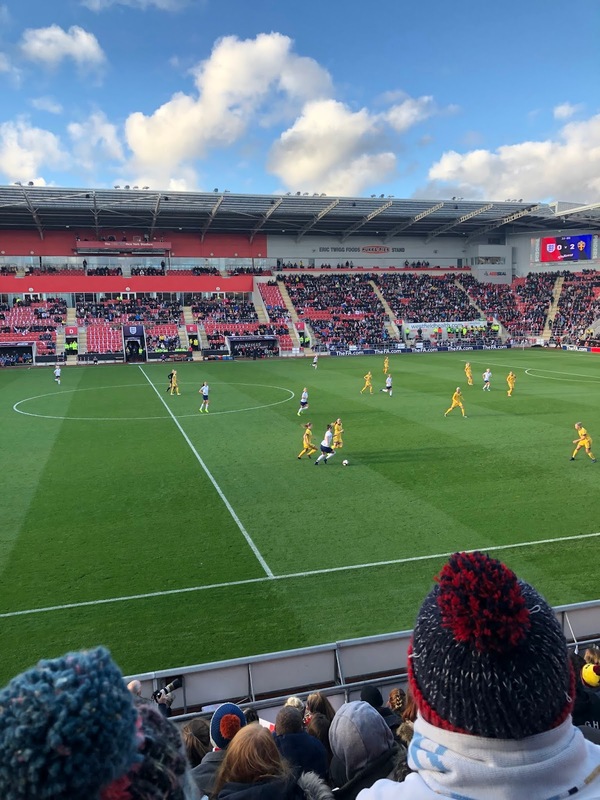 I think Bright and Greenwood did well in England's defence too as they really weren't afraid of getting stuck in with the tackles and did well clearing the danger when they were called upon.